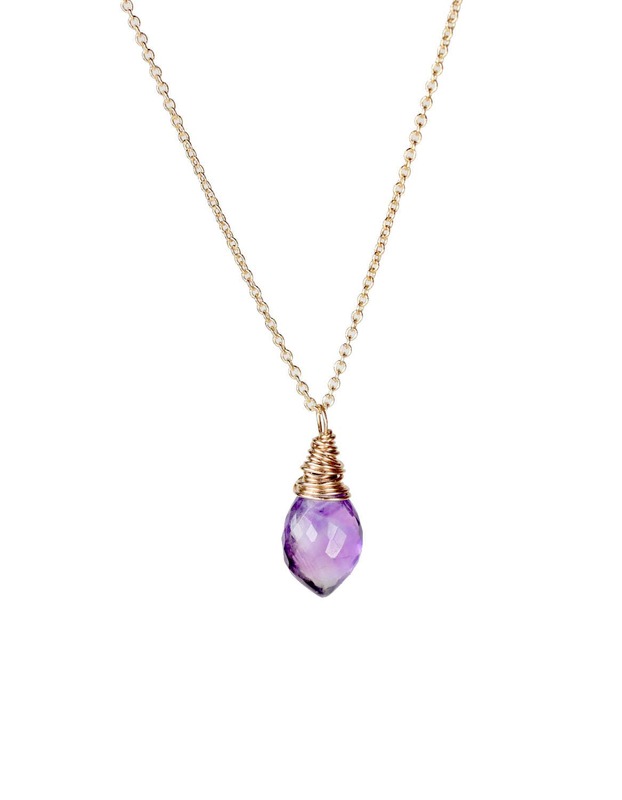 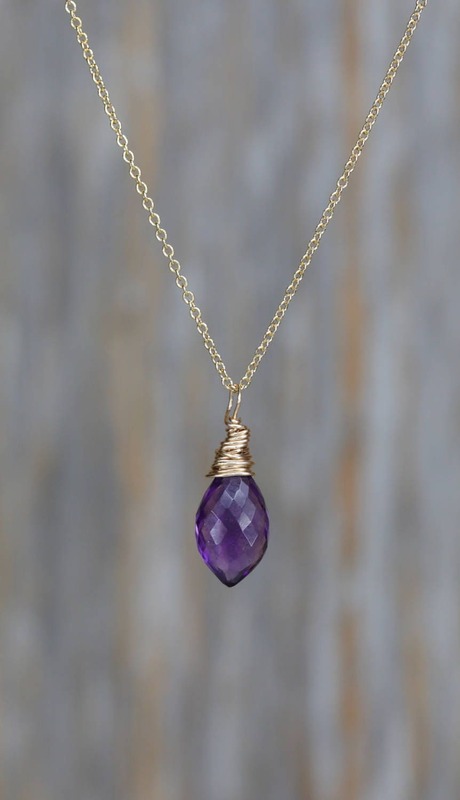 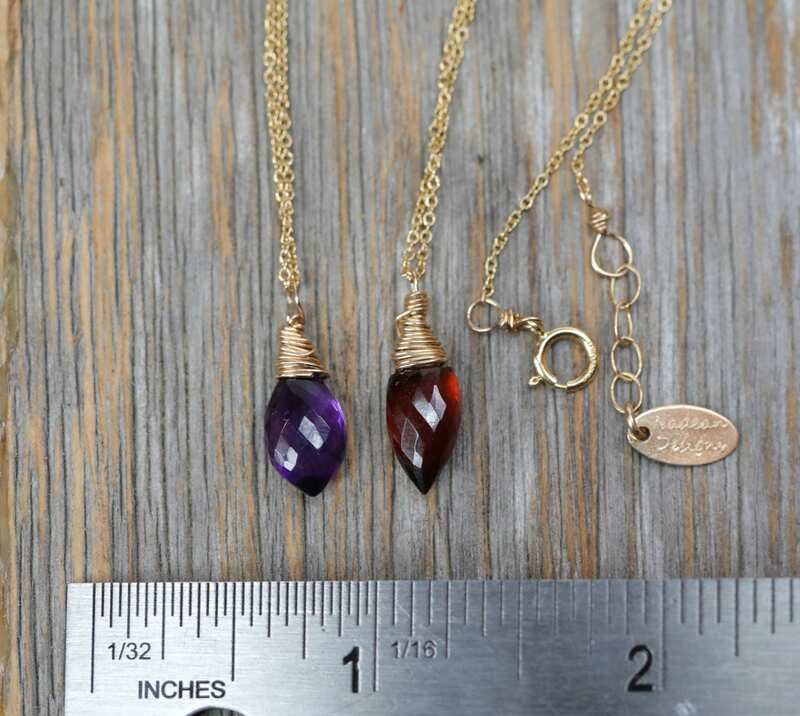 This is a genuine Amethyst Micro-Faceted Gemstone Drop Pendant artisan wire wrapped in 14K gold filled and hanging from a 14K gold filled dainty cable chain. 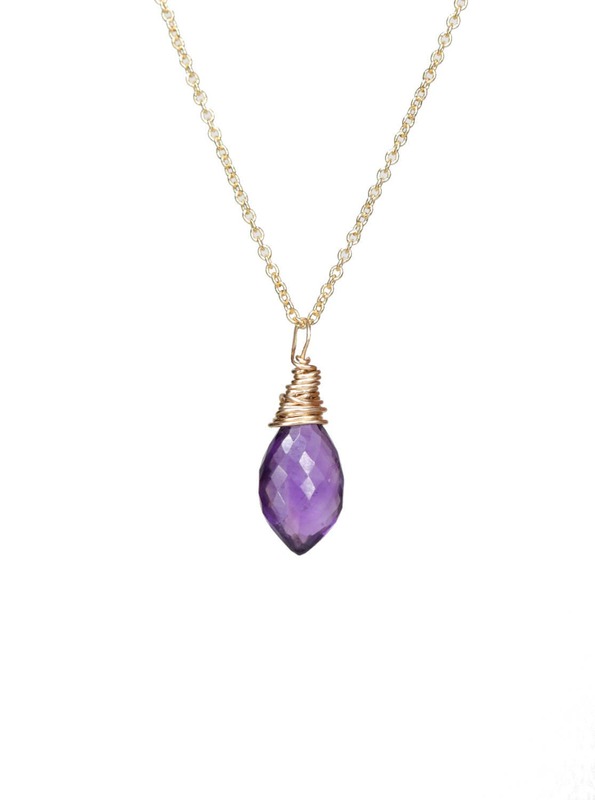 The gemstone pendant measures approximately 12mm long ( excluding wire wrap and bail) and 7.2mm wide. 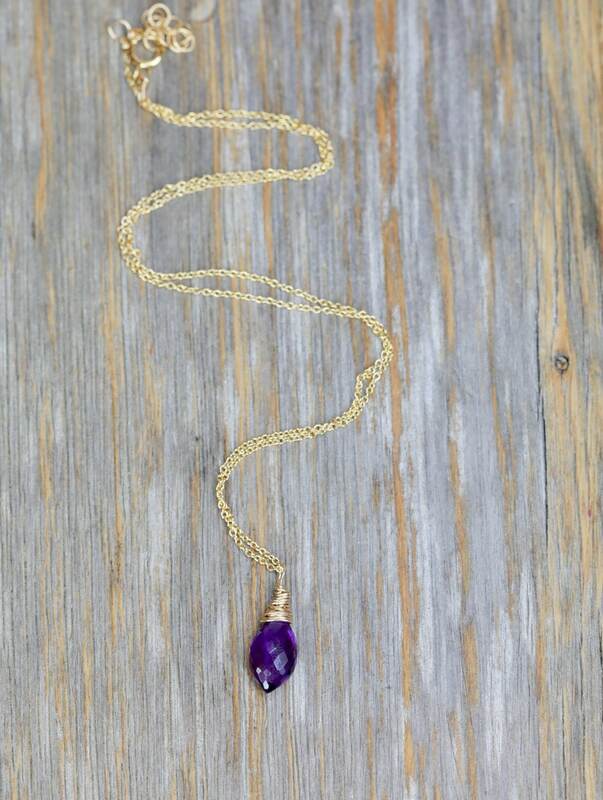 This offering is for ONE necklace only.